Legacies turn on so little. Tom Brady and Bill Belichick take their places among the greatest of all time, and Pete Carroll instantly goes from defending champion/genius to goat, all thanks to one inexplicable play call, yes, but even more so because of one aggressive move from a rookie who wasn't even supposed to be in the game. The Seahawks' undistinguished receiver corps had one thing going for it, at least early: the size of Chris Matthews, plucked from practice-squad anonymity. Russell Wilson could put up a jump ball, and the 6-foot-5 Matthews kept coming down with them. Matthews outjumped Kyle Arrington for 44 yards, and then skied over Logan Ryan for a touchdown, and then beat Arrington for another 45-yarder. So the tallest member of the New England secondary "begged" the corners coach to let him switch to Matthews. "Please let me get the big guy," 6-foot-4 Brandon Browner said he pleaded. He got what he wanted and kept Matthews quiet the rest of the game. And in a knock-on effect no one could have predicted, the failures of Arrington and Ryan led to the Patriots calling on their fifth corner in the rotation: undrafted free agent Malcolm Butler, who had featured mostly on special teams through the year. "I thought I was going to have to wait until next season," Butler said. 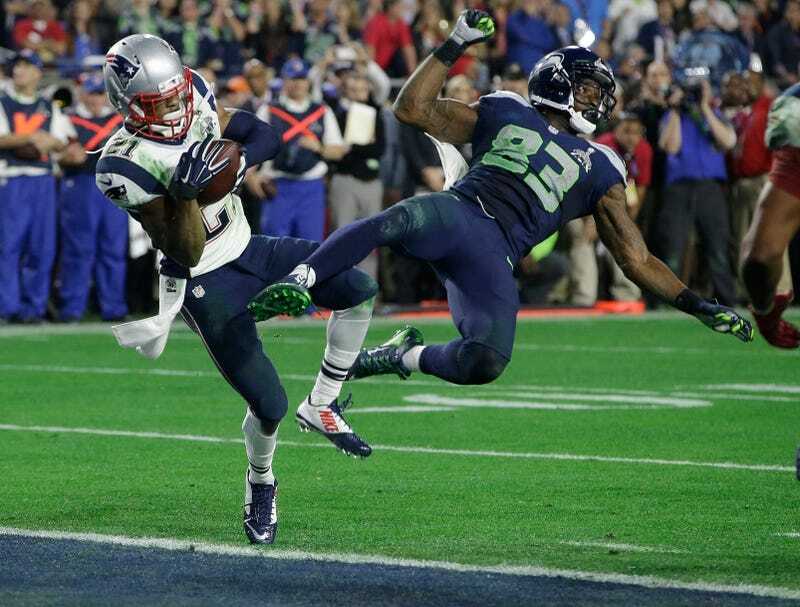 It was Butler who fell victim to Jermaine Kearse's insane, unlikely juggling catch that deserved better from history. And it was Butler who the Seahawks set up to be picked with a stacked-receiver formation on second-and-goal from the one—a play call, and a result, that will never be lived down. "We had it," linebacker Bruce Irvin said. "I don't understand how you don't give it to the best back in the league on not even the 1-yard line. We were on the half-yard line, and we throw a slant. I don't know what the offense had going on, what they saw. I just don't understand." The specific play was called by offensive coordinator Darrell Bevell, whose decision to use Matthews in extra-receiver sets had paid off so handsomely earlier in the game. But with mere seconds left in the Super Bowl, no decision like that gets made without the concurrence of the head coach. Here's how Carroll described his mindset. 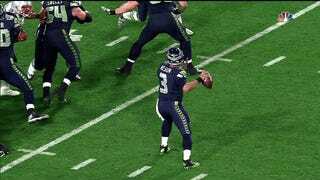 See if you can spot the thing that will give Seahawks fans restless sleep for months. Hell, I'll bold it for you. "We have everything in mind, how we're going to do it. We're going to leave them no time, and we had our plays to do it. We sent in our personnel, they sent in goal-line (package) — it's not the right matchup for us to run the football — so on second down we throw the ball really to kind of waste a play. "If we score, we do. If we don't, then we'll run it in on third and fourth down. Really, (we called it) with no second thoughts or no hesitation at all. And unfortunately, with the play that we tried to execute, the guy (Butler) makes a great play and jumps in front of the route and makes an incredible play that nobody would ever think he could do. "To kind of waste a play." This was a coach so certain that Lynch or Wilson could punch the ball into the end zone, he was willing to forfeit one of three plays left in his season because it would've come against a slightly unfavorable defense. There's a reason no one else "wastes" a down with a quick-slant, rather than a low-percentage fade route that at least takes a turnover out of the equation. "You could run on second down, call timeout, have to throw on third and score, or incompletion and have to choose (run or pass) on the final down. That's ball logic, not 2nd guess logic... you never think you'll throw an interception there, just as you don't think you would fumble." The problem was, the Seahawks' second-down look was entirely predictable to Butler, who said there was never a doubt in his mind, based on the personnel Seattle trotted out, that a pass was coming. "They called goal-line three receivers; goal-line usually has two receivers," Butler said. "You still could pass either way, but three receivers? That's kind of letting you know something. I'm a pass defender first, and I just jumped the route." More than that, Butler said he recognized the stacked-receiver look because he had been beaten on it in a scout-team practice. Jimmy Garoppolo had hit Josh Boyce for a touchdown, so this time Butler knew he needed to come hard on Ricardo Lockette. Things could still have gone differently. If Wilson had spotted Butler coming up, he could have tried to hit Lockette's back shoulder. Bevell, in a criticism that's not necessarily unfair but no one wants to hear right now, said that Lockette "could've done a better job at staying strong through the ball" rather than getting lit up by contact with Butler. What-ifs, everywhere. Like every other unforgettable sports moment, the flukiness of the thing isn't lessened by giving credit to the preparation and skill that went into converting an unexpected opportunity. And conversely, recognizing Malcolm Butler's agency in no way detracts from the historic horridness of the playcall.